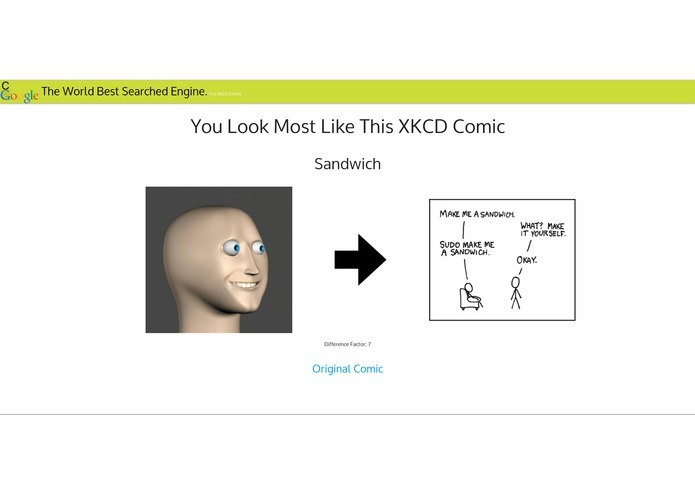 Ali is a mod on Reddit and thought that it would be useful to have a method to reverse image search to see if a comic strip has been re-posted without credit. So we wanted to make a site to allow for this. 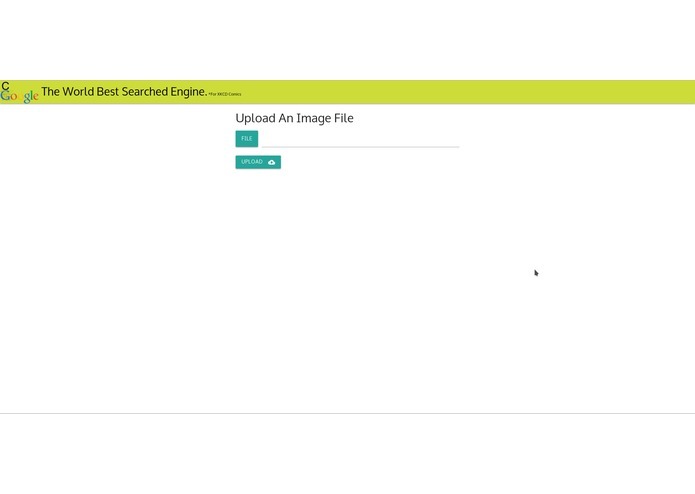 The website allows to search for an image through a database and uses dhash to find the most similar image. We used nodejs with an sqlite server to store the hashes for all the images for xkcd that we then search through to find the comic with the smallest diff to the uploaded image. Getting the image to upload was an issue. Another challenge was building the database with all the comic strips. Also getting azure to work for this was less than easy. How to use dhash and sqlite to build a reverse lookup image database. Spice it up and make it public facing. I worked on a back-end mostly. I also helped other team members with debugging and giving ideas. I worked on front end development and art for this project.